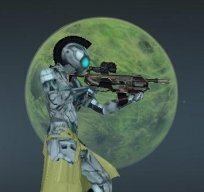 I decided to set up this little page to share with u things i know about Planet Cyrene: mob stats, locations, missions, items, etc. I think u can find here more info than at any other place, but this is not only my effort alone - im a part of community of Cyrene Pioneers, that work and share its data to help to make Planet Cyrene better place, and more familiar to newcommers. In time ill develop here the Help Terminal - a small compendium about Entropia Universe, and especially Planet Cyrene. Its a start - later ill set up another map, with more detailed info, or/and with mining areas. All data is collected from avialable and free sources like Entropedia, Cyrene Forum or my own experience. There is no guarantee of accuracy so use at your own risk. All images are © MindArk PE or © CREATIVE KINGDOM and are believed to be used under the terms of fair use.